Philippines was elected to the U.N. Human Rights Council on 12th October 2018, despite calls from civil society groups for the country not to be elected as they had failed "to fulfil the minimal requirements for promoting and protecting human rights”. Concerns were raised over the Philippines continued targeting of human rights defenders including UN mandate holders and its refusal to allow access to the Special Rapporteur on extrajudicial executions, despite the thousands of reported killings in the government’s ongoing ‘war on drugs’, and the lack of independent and impartial investigations into the killings. According to Human Rights Watch (HRW), agrarian violence is common in the Philippines, which is still grappling with the landlessness that has been blamed for massive poverty that in turn has fueled a half-century-long communist insurgency. In Negros, there have been countless political killings attributed to landowners and the New People’s Army, as well as government security forces. Security forces in Negros have also targeted peasants, sugar workers, and labour activists in the government’s counter-insurgency campaign, often accusing them of being New People’s Army members. Eliezer Losañes, commander of the Philippine Army on Negros, said in April 2018 that peasant occupations of plantation lands in Negros “are meant to provide logistics” to the New People’s Army. Sugar worker groups have swiftly denounced the allegation, contending that their actions to forcibly occupy and cultivate land was for their survival. HRW has called on the Duterte administration to “promptly, credibly, and impartially carry out an investigation and appropriately prosecute those responsible – and act to prevent further agrarian violence”. 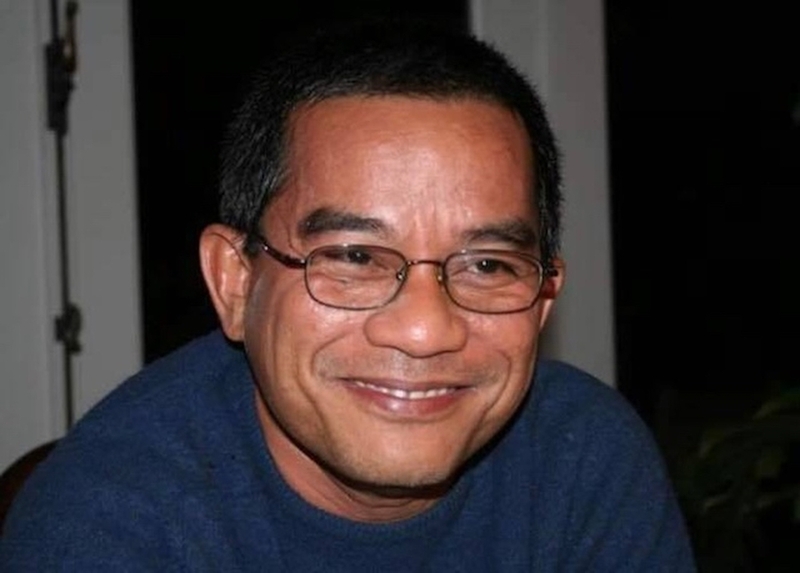 On 6th November 2018, human rights lawyer Benjamin Ramos was gunned down by unidentified men. According to news reports, Benjamin Ramos was shot dead by motorcycle-riding gunmen in Kabankalan City, Negros Occidental. He was a founding member of the National Union of People’s Lawyers (NUPL), a group of human rights lawyers providing free legal aid to victims of human rights abuses. He was also a well-known advocate for peasants’ rights and the Executive Director of the Paghidaet sa Kauswagan Development Group (PDG), a non-governmental organisation assisting peasants in the same province. According to the NUPL, Ramos had recently been providing free legal assistance to the families of nine sugar farm workers who were killed in Sagay City on 20th October 2018. "We condemn in the strongest possible terms the cold-blooded murder of Attorney Ramos. The sad reality in the Philippines is that lawyers are getting killed while in legitimate exercise of their profession." Ramos was the 34th lawyer killed under the administration of President Rodrigo Duterte in the past two years. Excluding judges and prosecutors, Ramos was the 24th lawyer killed in the country and eighth in the Visayas region according to NUPL. Most of the reported deaths have not yet been solved. On 13th October 2018, peasant activists Yolanda Diamsay Ortiz, Eulalia Ladesma, Edzel Emocling and Rachel Galario were arrested by operatives of the Criminal Investigation and Detection Group (CIDG), Philippine National Police and elements of the 7th Infantry Division in Nueva Ecija. Ortiz is a member of the Anakpawis Party while Ladesma is a member of Gabriela Women’s Party. Emocling was a former member of the League of Filipino Students (LFS) in the Polytechnic University of the Philippines. Karapatan paralegals were denied access to the four but relatives were able to visit on 14th October. Ladesma’s daughter said her mother was taken by her hair and was forced to drop to the ground when the CIDG operatives found her. While on the ground, Ladesma was kicked several times and her hands tied thereafter. Ladesma’s daughter said that Ortiz’s left eye was swollen and there are hand marks on her neck. According to news reports, the army claimed that the four were rebels “conducting recruitment”. The military said further that they allegedly seized from them “a 9mm sub-machine gun, ammunition, four hand grenades, improvised exploding devices, a laptop, 10 mobile telephone phones, and a printer”. Karapatan Secretary General Cristina Palabay rejected this, saying, “We have no doubt the spin doctors in the military will use this opportunity to forward their deluded narrative, even at the expense of torturing women.” Karapatan is calling for the immediate release of the four women. On 10th November 2018, it was reported that a technical working group (TWG) of the House Committee on Human Rights chaired by Quezon City representative, Jose Christopher Belmonte, is set to meet to consolidate and scrutinise House Bills 1617 and 8128. The Commission on Human Rights (CHR), chairperson Chito Gascon said the passage of the human rights defenders protection law has long been overdue. He said the CHR “fully supports” the bill, citing the “global movement” to safeguard the rights of the human rights defenders. However, Police Chief Superintendent Dennis Siervo, chief of the Philippine National Police (PNP) Human Rights Affairs Office, said the PNP had reservations on some provisions of the bills. He said the PNP would submit its position paper on the measures. On 12th November 2018, the Philippine authorities said they had grounds to indict news site Rappler and its founder Maria Ressa for tax evasion and failure to file tax returns. According to the reports, the Philippine Department of Justice accuses Rappler and Ressa of failure to pay taxes on bond sales in 2015, which reportedly resulted in 162.5 million pesos (USD3 million) in financial gains. The government's statement on the charges did not indicate how much was allegedly owed. Tax evasion penalties under Philippine law carry maximum 10-year prison sentences and fines. Rappler has denied the accusation, saying in a statement that the legal threat was a "clear form of continuing intimidation and harassment against us, and an attempt to silence journalists." The statement said the case "has no legal leg to stand on." "These charges show that Philippine President Rodrigo Duterte's government will stop at nothing to silence Rappler's critical news reporting. Authorities should drop this spurious accusation and desist from harassing Maria Ressa and Rappler's brave reporters." Rappler has already faced legal threats before the tax evasion accusations. As documented previously, in January 2018, the Security and Exchange Commission (SEC) declared that Rappler had violated constitutional restrictions on foreign ownership of domestic media by accepting funds from the Omidyar Network, a fund created by eBay founder Pierre Omidyar. The news outlet insists that Omidyar Network’s investment does “not indicate ownership”. In July 2018, the Court of Appeals ruled that the SEC erred in its move to revoke Rappler's certificate of incorporation, which it said should only be done as a "last resort" for non-compliance issues. In August, Rappler filed a motion with the court to fully annul the SEC's revocation order; the motion is still pending. Rappler has been a vocal critic of the Duterte regime, especially of its notorious ‘war on drugs’. The Duterte administration has gone after individual media outlets that criticise President Duterte's policies, thus creating an increasingly chilled atmosphere for the country’s independent journalists and media outlets to operate.